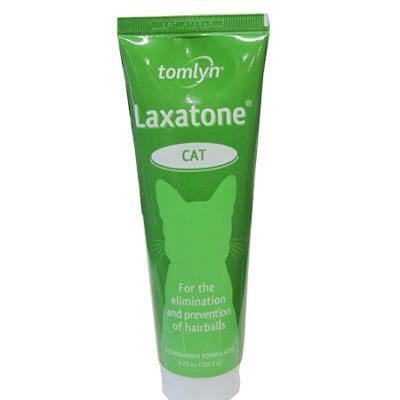 Laxatone is an easy to use gel lubricant for elimination and prevention of hair balls in cats. Hairballs can be an unpleasant and potentially harmful problem for many cats. Laxatone uses proven ingredients to help your cat eliminate existing hairballs and with regular use, can help prevent new ones from forming. Contains petroleum in a palatable base, and is ideal for finicky, aged, or ailing cats. Comes in a 4.25 oz economy size tube.